The Sparkling Holic look in this month's Etude House's Pink Box is bold, strong and exudes confidence. And so, the nails are a lot more vibrant than the Romantic Holiday's ones (Click here to view the nails for the latter!). 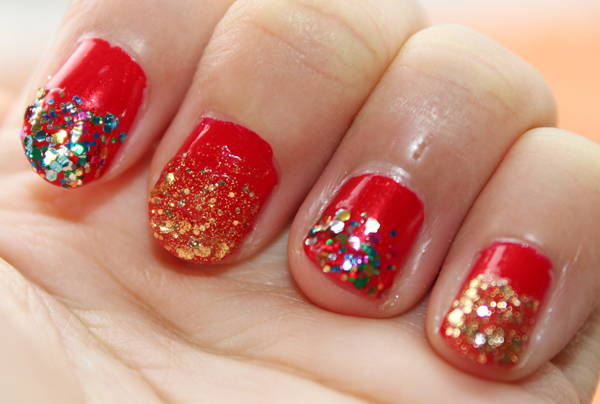 #01-1 Santa Red: A scarlet red with gold shimmers. #01-2 Golden Bell: A goldenrod-gold with shimmers and glitters. #01-3 Firework: A rainbow of glitters. 2. 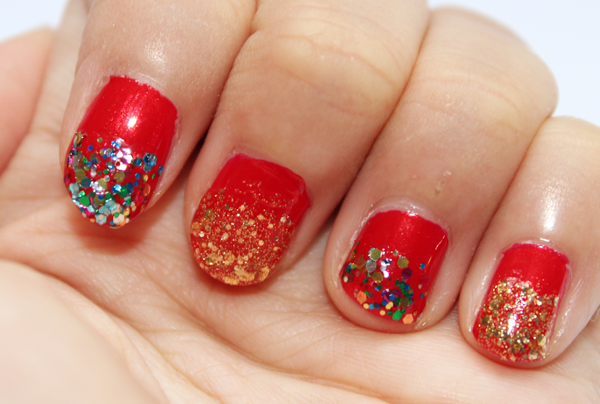 Sweep #01-1 Santa Red across your nail plates. 3. 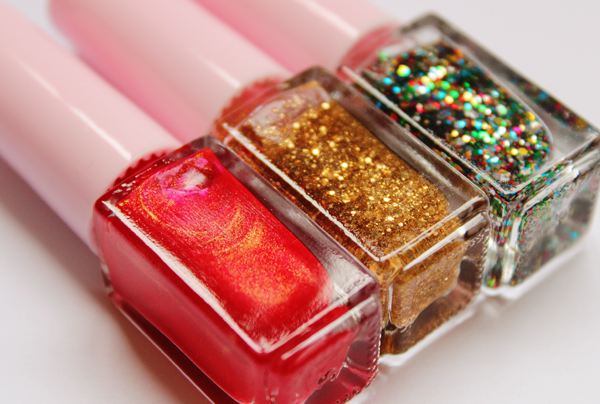 Dab either #01-2 Golden Bell or #01-3 Firework onto the top halves of your nail plates.